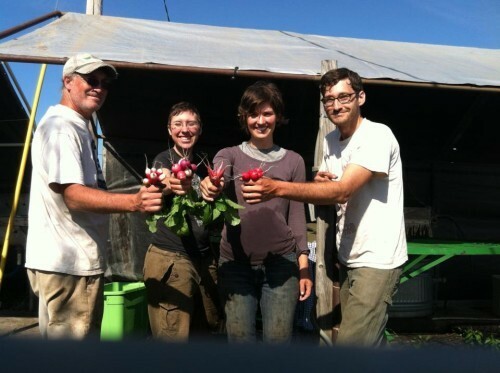 One of the reasons I love being part of a CSA (Community Supported Agriculture) is the feeling of being part of a farm. My Dad was a farmer when I was growing up, and I have relatives that still farm, but living in the suburbs now I often feel removed from farm life. They also offer volunteer days on the farm. Last year I helped pick beans and it definitely brought back memories of field work. It also underscored for me how much we take our food for granted! This Labor Day weekend, let’s pay homage to those who labor for very little: Our local farmers. And, of course, microbrew and local wine to celebrate. So, how will you be supporting local food this weekend?